For those of you with Chuck E. Cheese fanatics! 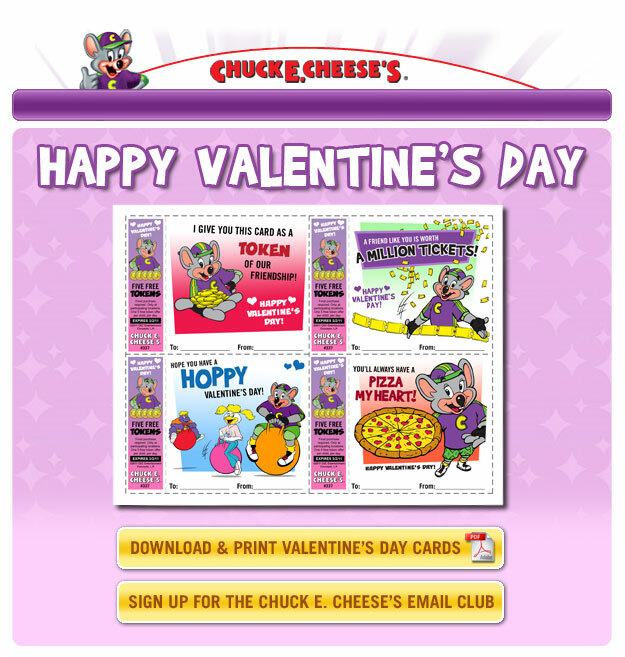 Go HERE to print out your free Chuck E. Cheese valentines! Each Valentine has a coupon for five free tokens. Weeeeeee!